Here we are, happily landed into 2012. We had a terrific New Year's Eve at our home with great friends. I've been able to have some quality time with a few "old" friends lately and it's been wonderful...spending time with them feels like home. This year I have many things I'd like to do. Get more organized. Kick the nail biting habit. Drop 10 more pounds. Worry less. Enjoy more. Create healthier habits, and keep them. HAVE ANOTHER BABY. When Jamie and I were first married and ran into kinks, we'd comment that we've "growing and learning". Years later, we still are. 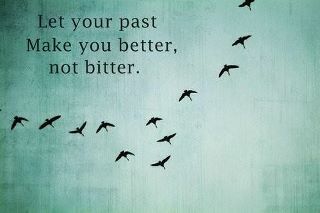 Our past has made us better. I'm certain we still have lots more growing and learning to do! A perpetual calendar that I got from the ladies at work after we lost our baby last January has a great blessing for today: "May you look forward to the year ahead with an unwavering confidence in God--He loves you more than you can imagine, wants you to live out the dreams He put in your heart, and cheers you on to fulfill His purpose for you." What perfect timing....I love that!